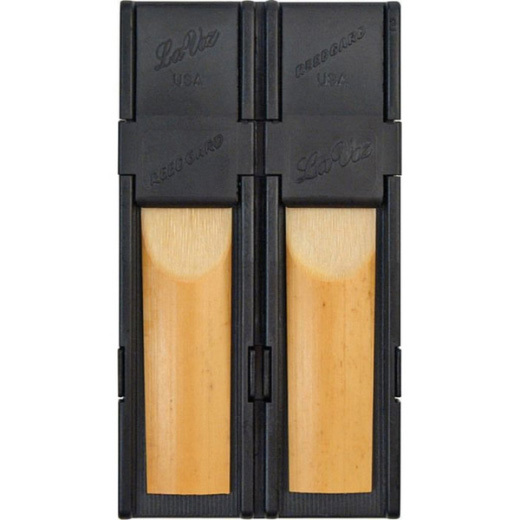 This reed case holds 4 Tenor Bari Sax reeds, 2 on either side. The surface is grooved so as to allow moisture to escape and air to circulate. Handy and practical. Hold four reeds. Bought as a 2nd reed case to keep tenor jazz and rock reeds separate. Seems to do a good job.